1 Meter (40 Inches) Long Extends the Apple Dock Port Connection. Has a Male and Female 30Pin Dock Port Connector on each End. The Dock Extender Cable allows you to dock your iPod or iPhone from a distance or while in a case. 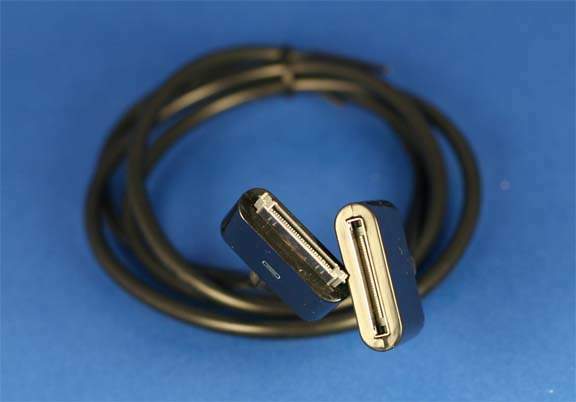 Small diameter flexible cable provides connection pathways for power audio output USB data sync play controls accessory power and composite video. It does not support S-video output or input for recording audio. Compatible with iPhone iPod (touch classic video) & iPod nano (2nd & 3rd Gen). Features:100% brand new & high quality 30 inner pin cords inside, include audio, video, sync, charger pin. Specially design for iPhone iPod (with dock adapter).